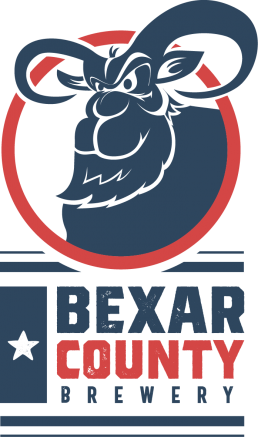 Bexar County Brewery was born out of the need for newer more creative beers to be produced in England. The days of only having a handful of styles of beers to drink are ending, and we are part of that change. A beer revolution is occurring, and I am proud to be on the front lines. Please have a look around. Here you will find loads of useful information (and plenty of rubbish as well) about the brewery as well as updates on beers being produced and where you may find them. Cheers! Yeah. I know. More teasing. OK. But, isn't that what you expect? But seriously? Read on. Something really rather lovely we're involved with next month! If I don't get an invite... I'm still going! I don't know the full relevant list but we do cover #London weekly (amongst other areas!) and work with @burningskybeer @cloudwaterbrew @VerdantBrew @WiperAndTrue amongst many others including several London breweries. I always say you drink experience. A great beer never tastes good when you are in an awkward environment... But a less than perfect beer can be delicious if you are in a good place. This is the 3rd year we have run the #Willingham #BeerFestival drinks offering with our friends @thebankmicropub. It would really be great if people, beer festival buyers in particular, would pay attention to what they are deciding to purchase from me. If you want straight up beer... Stop ordering my strange stuff! Final stop on the ridiculously fast tour (with my mom no less) is the always fantastic @BlackLabBCN. Food done... More beer needed. Good thing @Kaelderkold is just a 5 minute walk away. Great selection of beers, great tunes, great place! This. This is important. These are our friends these people are aiming at. Up and about at a crazy hour getting ready to head off for my collab with @alldaybrewing... Not that I'm super or excited or anything! What we did in 2018, a retrospective... and pondering where we're headed in 2019. This is about audio... But when reading it, it was only too easy to equate it to the beer world too. Server told me "that's where all the good stuff is"... I disagree (probably the end of the keg) . Sad cause this was direct from a brewery (tap room) I look forward to drinking at. Having a great "pick me pale" from @ColdFireBrewing. Absolutely everything I want in a pale. When visiting Eugene... Drink local... Drink delicious. You did good. A lot of good. By the simple method of drinking great beer, you did good. Umm... I didn't see this coming. Brewery Bars at 10th Elysian Winter Beer Festival #ElyBeerFestival are @moongazerale @3BlindMiceBrew @BexarCountyBrew @MoonshineBrewry @miletreebrewery & @dunehamDr We will have a choice of over 86 real ales including ten key keg, ciders and meads and wine as well this year! Read on. Please RT widely. There's some boring information within. Great to see @3BlindMiceBrew, @AmpersandBrewCo, and @LittleEarthBeer beers up @salfordbeerfest showcasing what amazing beers our area can produce! Here they are. Read. RT. Drool.